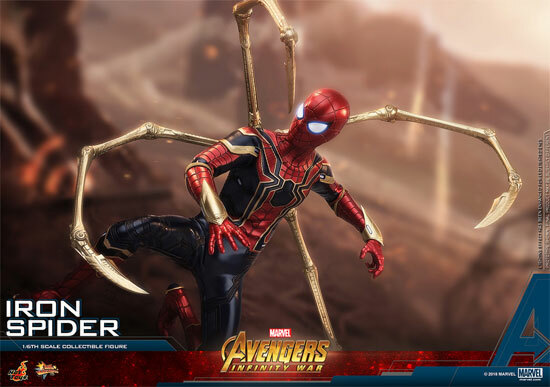 When Marvel going to release IronSpider in the movie, I wonder how will it turn out to be? 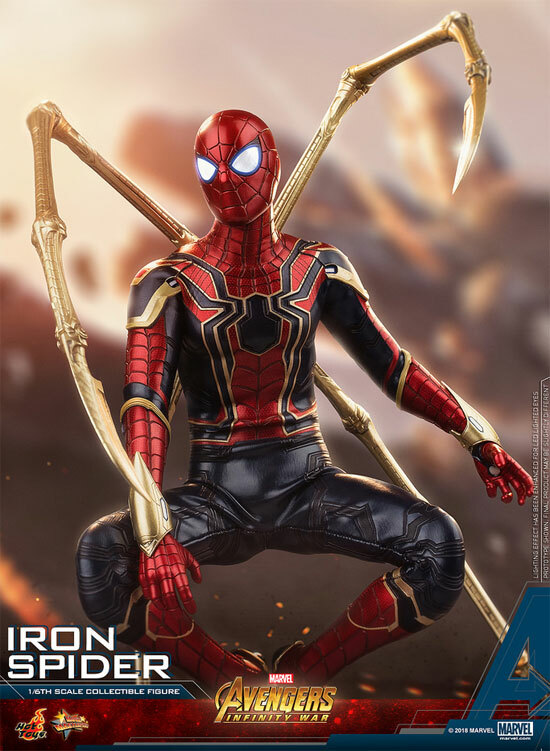 It is really be Iron? How will they achieved that in real life? 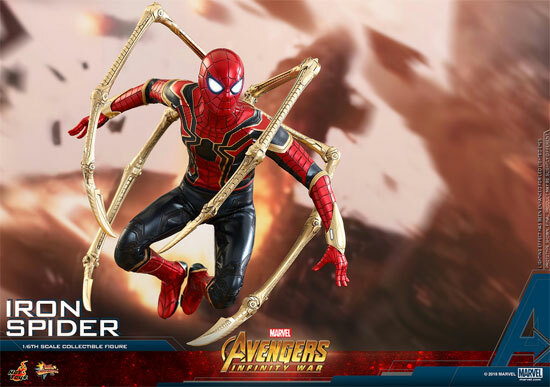 Here is IronSpider Hot toys that is very much like in the trailer. It comes with 4 golden claws which is articulated. 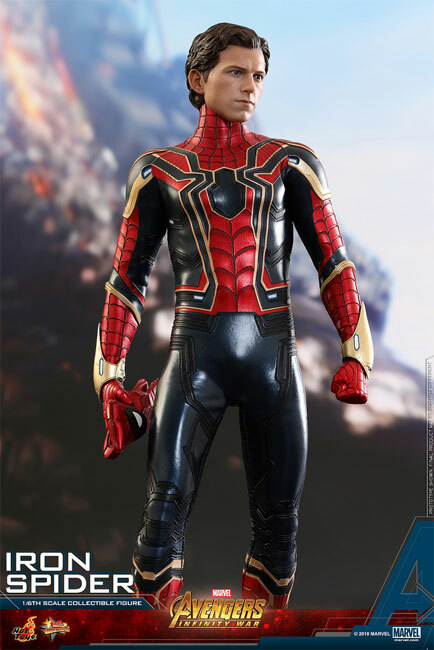 The figure comes with full range of articulation with the fabric of it's suit. One of the head will come with 4 changeable eye for expression. 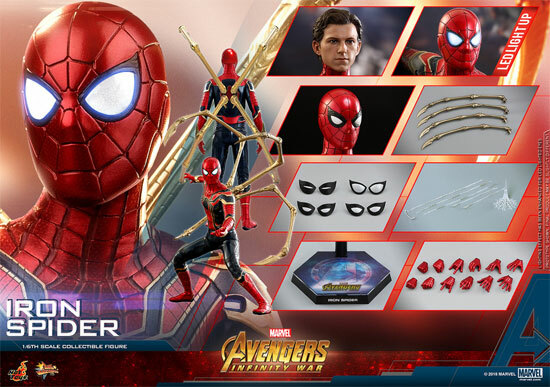 Here are what the figure will comes with accessories and stand. He even have a light up eyes. 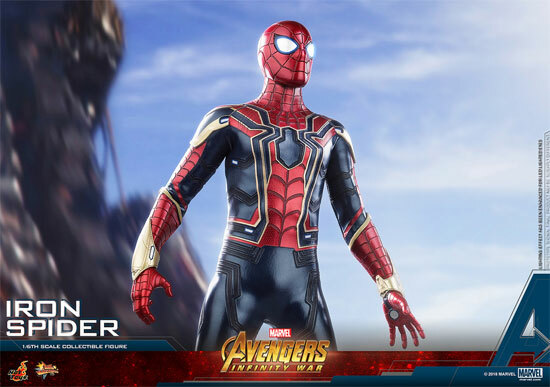 Once again you can see the suit which is cloth material are shiny or some what chrome. 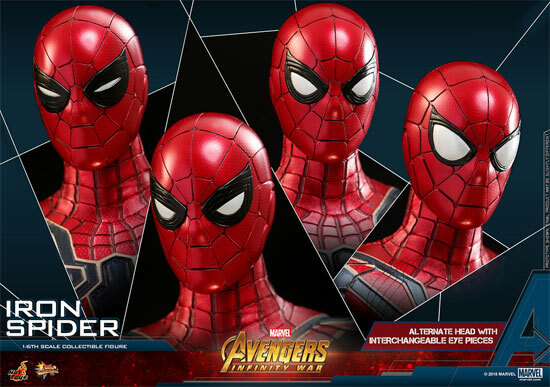 This toy is schedule to release 2019 Quarter 1 or 2. No official price is released yet.